I was born and raised in Asmara, Eritrea. Like every resident, I loved to stroll in the streets of Asmara. The most popular street was Liberation Avenue, which was decorated by Italian architectural work. I grew up admiring the beauty of Liberation Avenue. Like tens of thousands of Eritreans, I am a big fun of cycle racing and I remember watching the great half Italian and half Eritrea cyclist Selambini Carmelo racing at the streets of Liberation Avenue. Thus, Liberation Avenue was full of memories of good time. However, all the good memories changed twelve years ago on September 18, 2001. The night before, on September 17, 2001, at approximately 11:00 p.m., I was driving Eastbound on Liberation Avenue. I saw Medhane Haile (Medhane is a good friend and a follow Eritrean lawyer and journalist. Medhane is one of the journalists who arrested in 2001) right in front of the Commercial Bank of Eritrea building. I pulled over and Medhane got into my car. I asked Medhane where I should drop him. Medhane told me to drive around the city. I asked for specific destination. Medhane said “I WANT TO SAY GOODBYE TO ASMARA SO DRIVE AROUND”. I did not ask anymore question. I started my car ignition and made U-turn started driving Westbound on Liberation Avenue. There was complete silence in the car, which was unusual for Medhane. I tried to break the silence, but Medhane appeared not interested. Then I stop talking and continue to drive on Liberation Avenue passing the landmark Cathedral Catholic Church. I bear slightly left at the Telecommunication building and continue to drive all the way to Fiat Tagliero. Then I asked Medhane which direction I should drive. Medhane told me to make U-turn and drop him home. I gave Medhane a look and I resisted taking him home. Medhane nonetheless insisted I should drop him home. I protested because I met him the preceding two nights and I dropped him at two different places. So I asked him what had changed because it was clear to all of us his arrest was a matter of days. Medhane said “THIS TIME TAKE ME HOME” and I stopped protesting and dropped him at his family house located in Edaga Hamus neighborhood. The following morning, on September 18, 2001, I went to work- the High Court of Eritrea- where I used to work for my national service. By then I had already given up on the government owned mass media namely Radio Dimtsi Hafash, Eritrean Profile newspaper and Eri-TV. The media outlets were reduced to propaganda machine long time ago and I had stopped reading, watching and listing to the media outlets. Thus, I was not aware what had happened that morning. I learned the government’s crackdown on G-15 and the arrest of journalists including Medhane from my colleagues. At that moment, it hit me. The unusual silence of Medhane and the conversation about GOODBYE TO ASMARA kept of echoing. I felt like I missed an opportunity to save Medhane’s life. Twelve years later, I still remember that night and the conversation I had with Medhane. In hindsight, I realized Medhane knew he would be arrested that night. I am sure what he did not expect was that it would the last time he would breathe air of freedom. Few days later, at approximately 11:30 p.m. Dawit Habtemichael (a.k.a. Wedi Memhir) run into me at Liberation Avenue right in front of Cathedral. 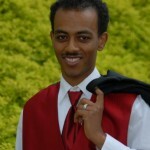 Like Medhane, Dawit was a private journalist and friend. I was shocked in disbelief to see Dawit that late at the heart of Asmara because I thought he was already arrested with Medhane and the other journalists. Dawit was distraught and he asked me where my car was. I pointed to my car. Dawit got into my car and I started driving. Like Medhane, Dawit told me to drive him home. I resisted taking him home. I told him about Medhane and I refused to drive him to his family house located in Setanta Oto neighborhood. Dawit told me that he would not go home. Rather he would spend the night at his aunt or grandmother (I don’t remember exactly) house located nearby his house. Then I stopped resisting and dropped him nearby Enda Tesfamariam grocery, which was located couple hundred meters away from his house. Few days later, I learned Dawit’s arrest. Today, we marked 12 years of the disappearance of our good friends and colleagues. I hope and I pray they are alive and we will meet one day. At the same time, this day should not only be a day of reflection, but it should also be a somber reminder of the onus Medhane, Dawit and other disappeared voices of democracy shoulder us. I am an immigration attorney based in Washington, DC. Previously, I worked for the High Court of the State of Eritrea. I worked as a Judge’s clerk for two year in Eritrea. I moved to the United States in 2002. I am also co-founder and the serving Executive Director of Eritrean Law Society, a non-for profit advocacy group based in Alexandria, Virginia. if you want to learn more about me: please visit my website at www.Andegeorgis.com. Mike I was really touched by your story,It drove me back home especially during Sundays when our father used to take us Airport, Betigergish Zoo,Mayjahjah,and also the one Godena Harenet usually parked in front of Augo (bar Hede Meskerem) the cakes, ice-cream and cappuccino of Asmara. We have had really good time. As you have pointed out Godena harenet was full of memories of people whom we respect them but now are in prison. We miss them, may God untie their hands give them his mercy.